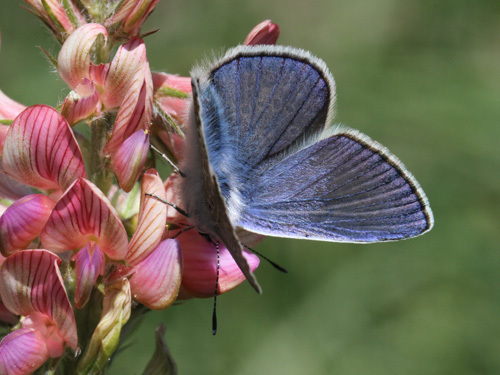 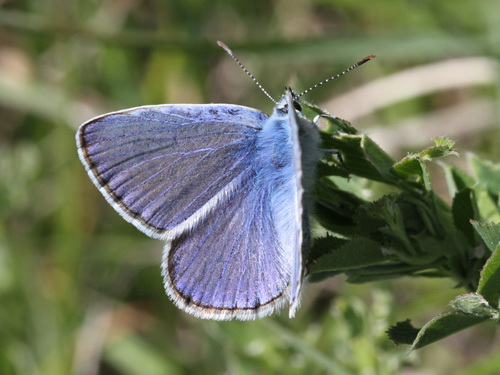 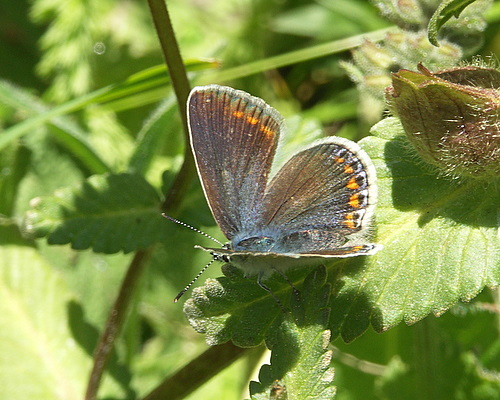 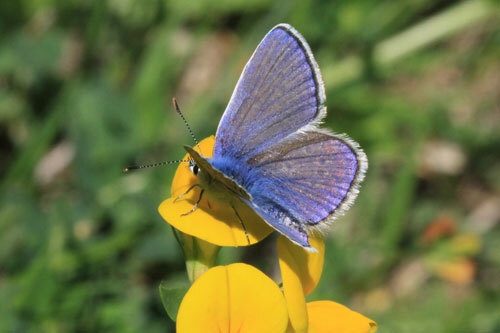 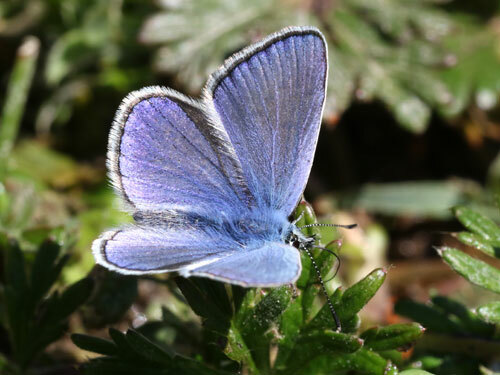 An often overlooked species due to its similarity to the ubiquitous common blue, P. icarus. 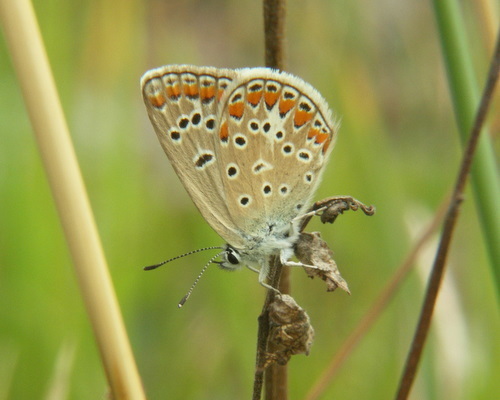 It is widespread and often common but more local than P. icarus and it should be checked for in warmer regions of Europe. 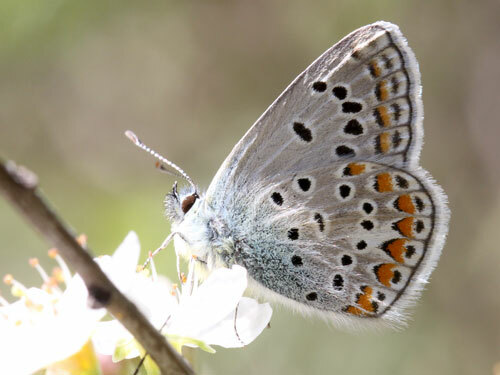 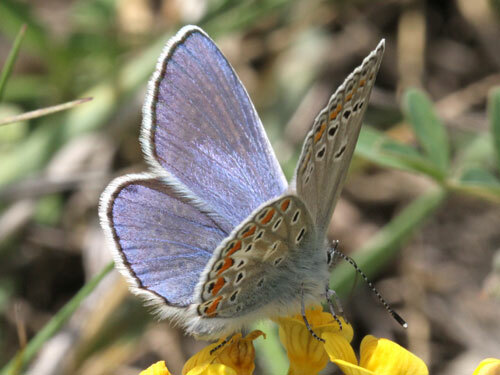 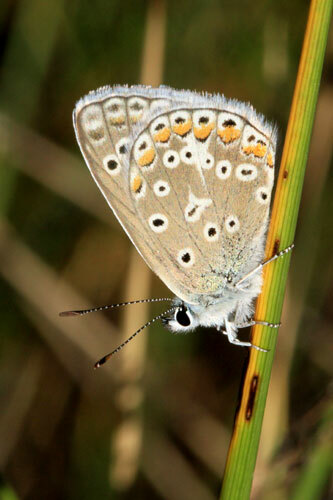 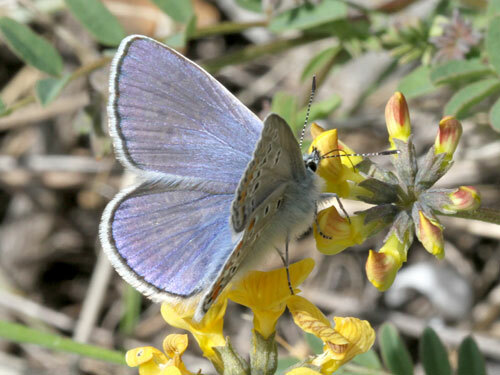 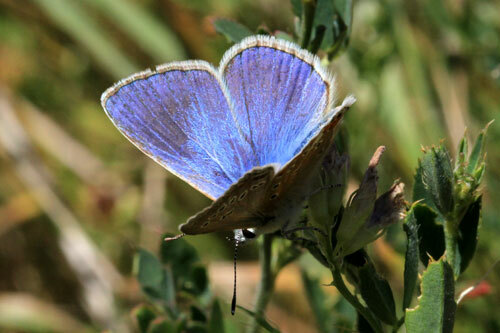 Identification & Similar species: Very similar to the common blue, Polyommatus icarus. 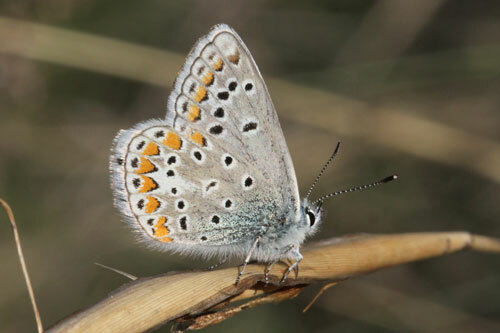 Separated by the absence of an underside forewing cell spot and andriconal scales in the basal areas of the upperside forewing of the male. 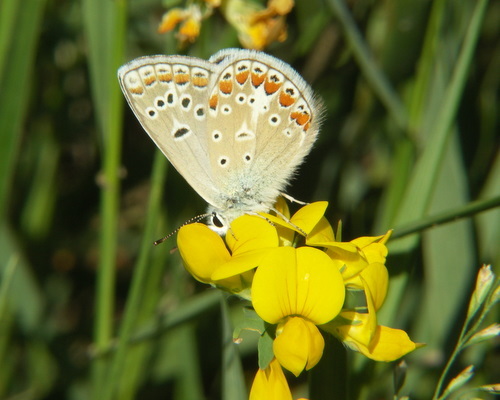 As the cell spot can be absent in P. icarus an estimation of the percentage of butterflies lacking this feature will quickly confirm the identity of butterflies at a given location. 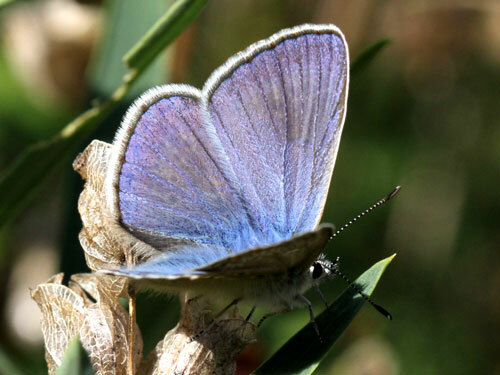 If only 5 to 10% are lacking the feature it is likely that they are 100% P. icarus. 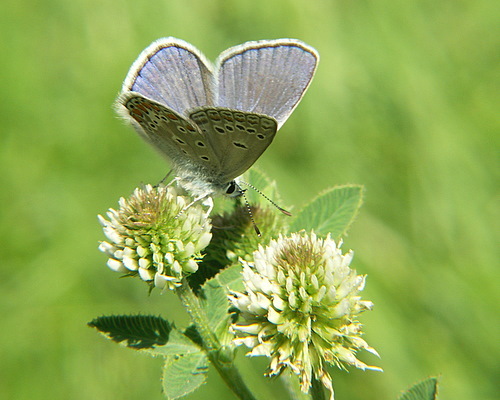 If all are lacking the cell spot they are 100% P. thersites. 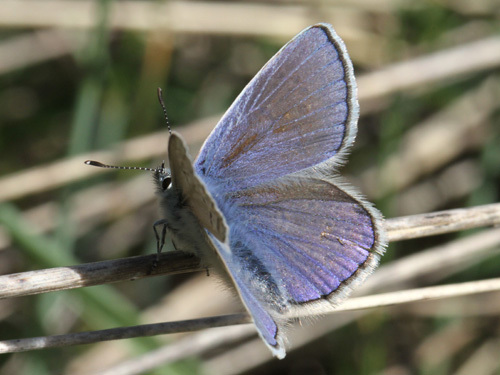 Somewhere between 10 and 100% then both species are probably present. 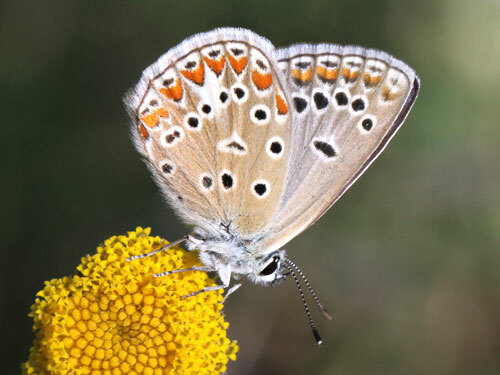 The upperside andriconal scaling is definitive. 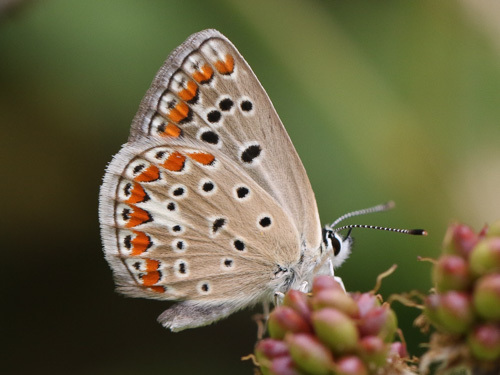 Distribution & Flight: Much of southern and central Europe. 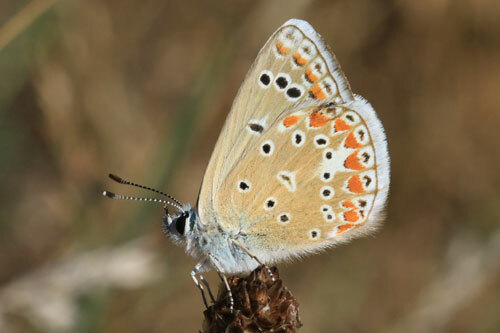 It is usually double brooded although I've found it in Morocco in September and October in a possible 3rd brood. 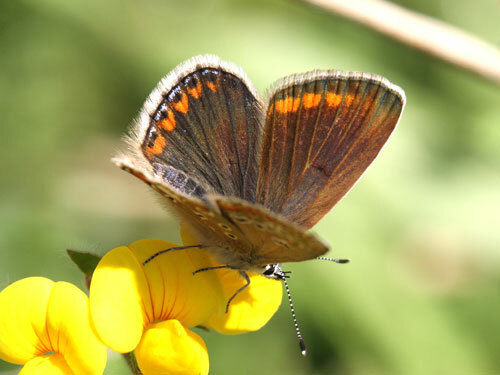 Habitat & Behaviour: Warm sunny flowery meadows at low to mid altitudes. 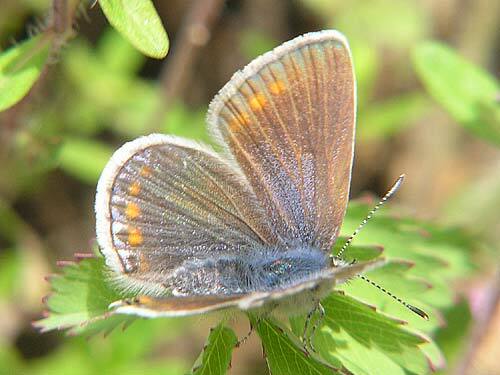 Variation: Underside markings are variable. 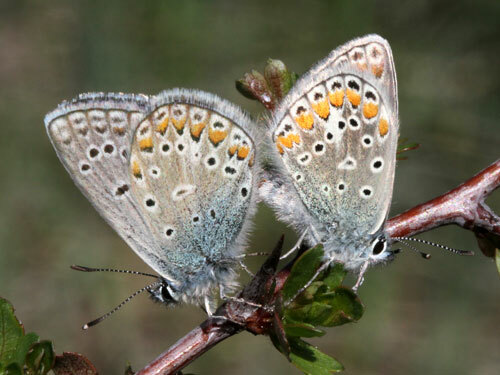 Females are very variable on the upperside with varying extent if blue scaling and variable presence of submarginal orange-red spots. 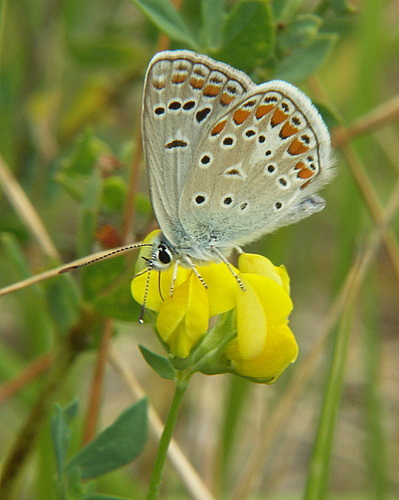 Typical female with blue basal areas and orange submarginal patches.